Let us show you interesting concept bike called Grasshopper and designed by Kentaro Nozue. It looks unusual and fresh. 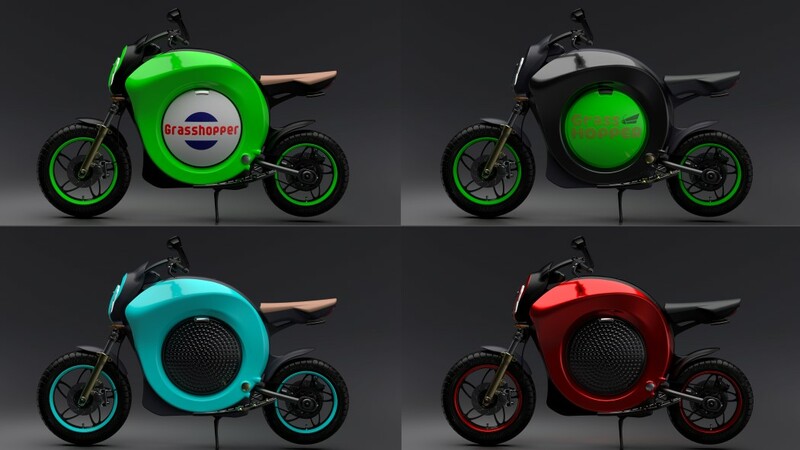 The Grasshopper conceptual bike explores a hollow chassis design in a world where everyone wants hub less wheels. It has a circular body design with a hole running right through. The Grasshopper uses this negative space for storage, rather than for artistic expression. The bike’s design hints at an electric drive. And don’t forget to check other folding electric bikes.